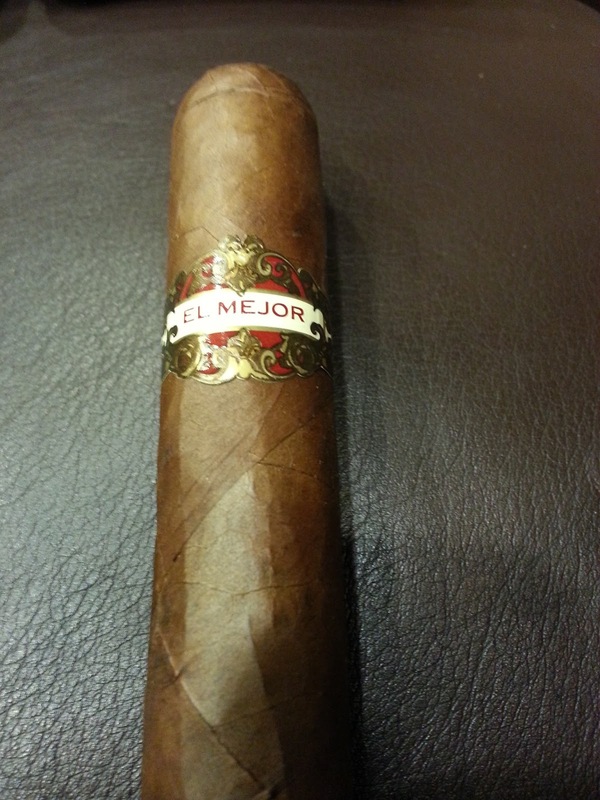 Appearance (0-20): The El Mejor comes with no frills attached; it’s simple and straightforward. Red and Gold banding work well against the corojo wrapper’s soft tone, giving it the little bit of pop it needs. The wrapper has no extreme issues of any kind, sporting just a few minor imperfections. This isn’t a cigar that would necessarily stand out when looking through a broad range of them. 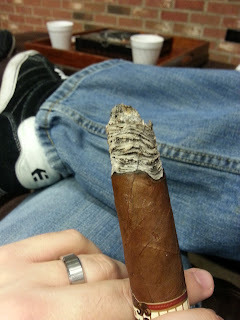 Construction (0-20): The construction was solid from the initial feel, with a slight give to the tobaccos inside. It was relatively well packed with a few small pockets that could possibly have been a little overstuffed. The initial cut had a little excess tobacco, and the prelit draw was decently spot on. After lighting, the draw remained decent through the stick, but there were some instances where it was a little tight. The burn wasn’t razor sharp, but it was close enough to straight that it wasn’t too much of a worry, and it held its ash very well. Strength (0-20): This one falls into the medium to full range, but to be honest, I felt it hung a lot closer to medium throughout. There were a few instances where it flirted with possibly amping up in strength, but it just never quite got there. Flavor (0-20): There was a nice mixture of coffee and peppery spice while smoking this. It’s an interesting combination that was only enhanced by some earthiness and a light sweetness (like a milk chocolate) that hung in the background. 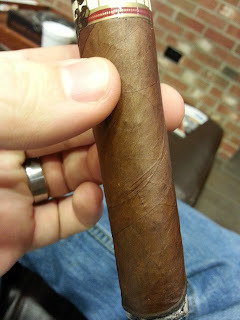 Some additional woodsy flavors also blended in randomly through each third of the smoke. It wasn’t overly complex, but it wasn’t a completely one dimensional either. Value (0-20): $5.00 is a decent price for these, given the experience above. It’s a solid stick, though not outstanding. Overall (0-100): For $5, it’s hard to complain about a stick that is consistent, relatively well constructed, and has some decent flavors. But with so many good cigars on the market, it’s also hard to rave about that same kind of cigar. Enter the El Mejor. There is nothing wrong with having these around as some easy smokers, but it’s really nothing to get overly excited about. It’s solid in all aspects, but it just doesn’t really stand out on its own. Would I buy more at $5 per stick? I don’t think so. But if you buy a box, they come out to $3 per. For a stick that I wouldn’t have to think much about, and just relax and enjoy while being distracted by other things, that’s a price I could get behind.